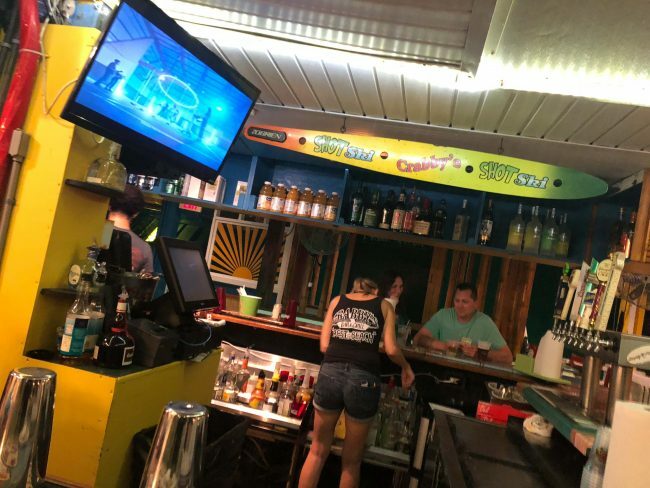 The Crabby’s Bar and Grill in Clearwater Beach, Florida is one of my favorite local spots to have a drink, listen to live music and watch the sunset! A little fun fact, we met this couple that night and tried the shot ski for the first time! 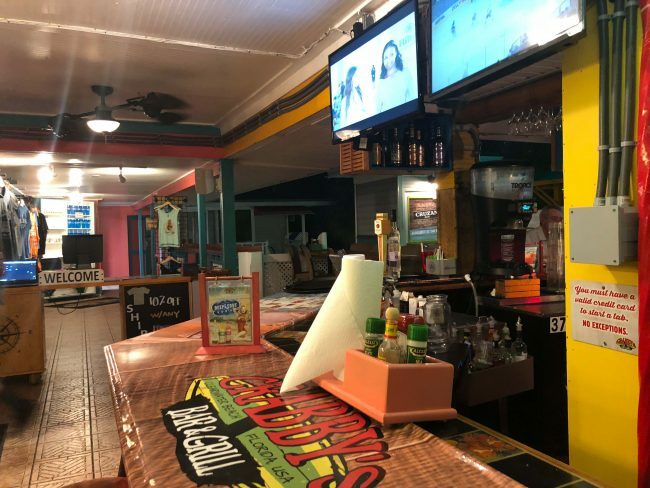 Although this place doesn’t look 5 star, it sure is in my book, their food, drink, and atmosphere is all great. 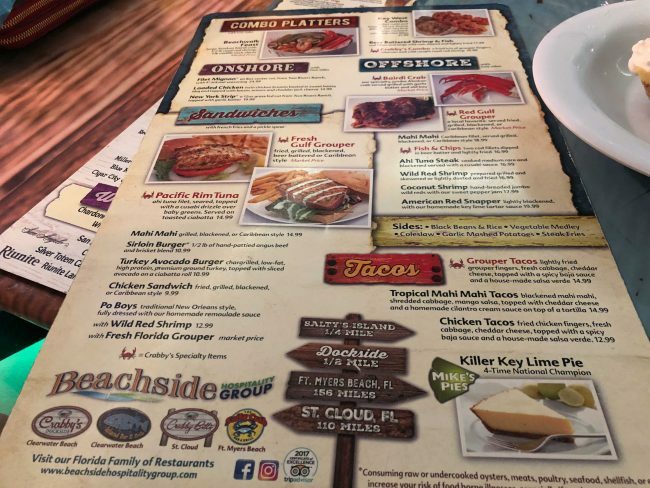 The staff is super friendly, and no matter what option you choose for food you can’t go wrong because it all is good. The best part is you can explore your cocktail horizon because if you don’t like the way something tastes they will give you something else, no questions asked. 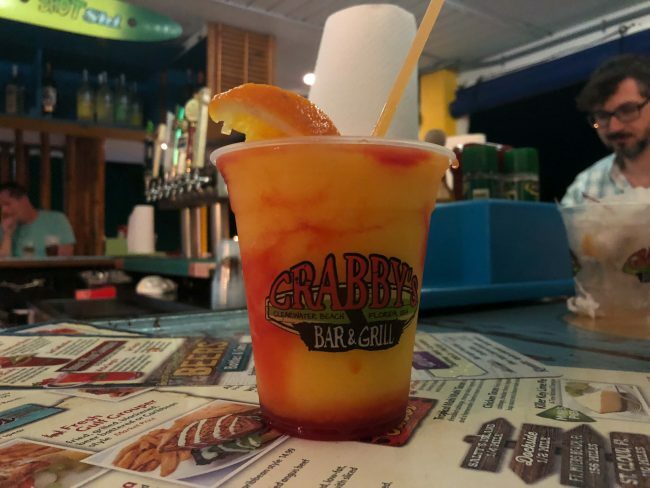 This drink is the Florida Sunset. It was a frozen drink with strawberry puree in it, but it looks so pretty! 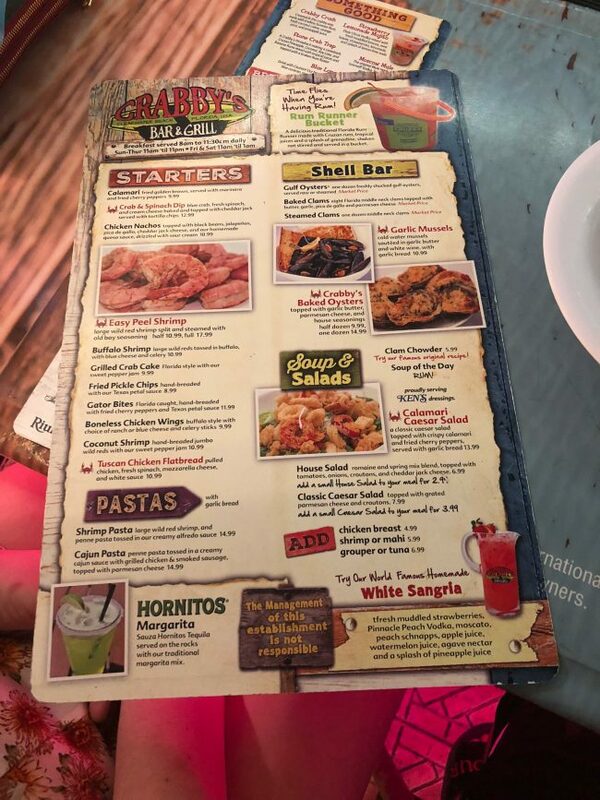 The Menu offers tons of options, if you have never tried gator I highly recommend trying their gator tail appetizer. It melts in your mouth, and the dipping sauce compliments it so well! This is the four-time winning national champion for the best pie in Florida. 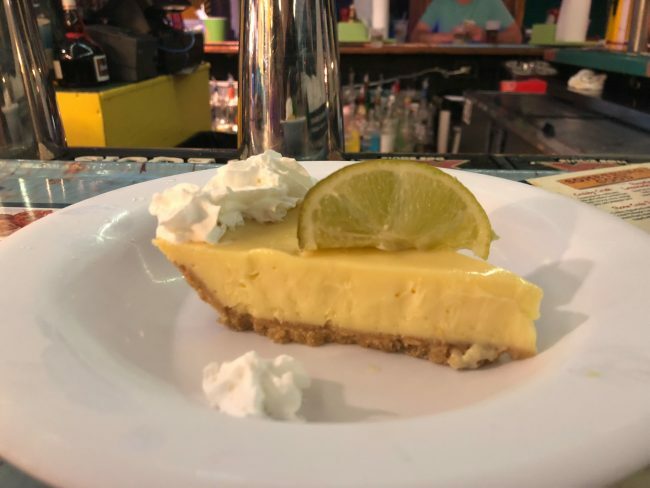 It’s Killer Key Lime Pie and it is to die for! No wonder it won 4 years in a row!